Yesterday in broad sunlight I came upon this long-legged beauty sunning on a big leaf. Something, perhaps the sound of my simulated shutter, sent it – yes – flying. Weighing in with a simple: I love this photograph. Imagine being this fly, with maroon compound eyes, whose veins or nerves — or whatever brancheries are visible to humans in the wings of, maybe especially, a more red than black fly — are mirrored in so many leaves of those around you, in the course of just a simple or blind magnetic landing, of a sunny day… so things show more, at least to the lenses of the human eye, and mind. 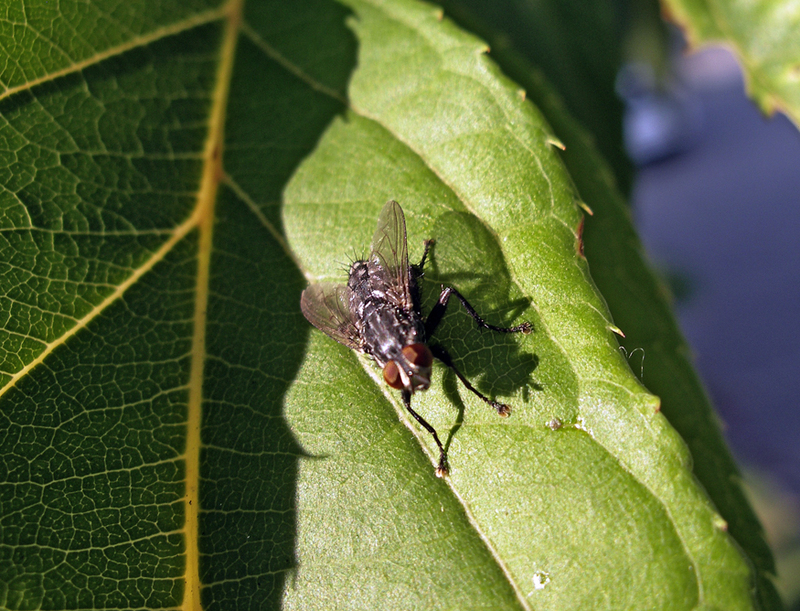 But I’m guessing that the fly and the leaf don’t depend on sun and shadow as much as humans do — to recognize their similarities.